DIY is coming with new and creative ideas daily to cope with the growing demands and needs of a modern man. That’s why there is always something especial on DIY to meet the rising desires of every person. 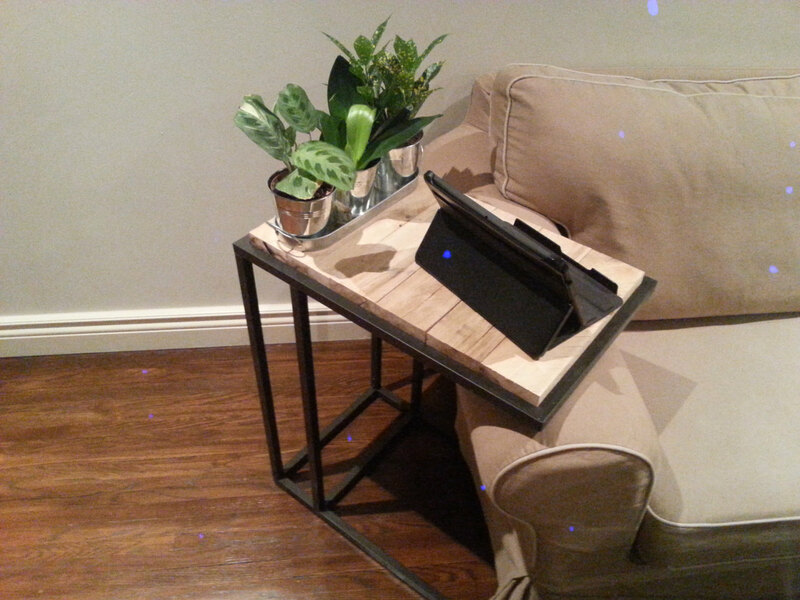 For those who spend a lot of time on laptops, for earnings or for the amusement we have brought this DIY pallet laptop side table, crafted for a comfortable and easy use of laptops sitting on the sofas. 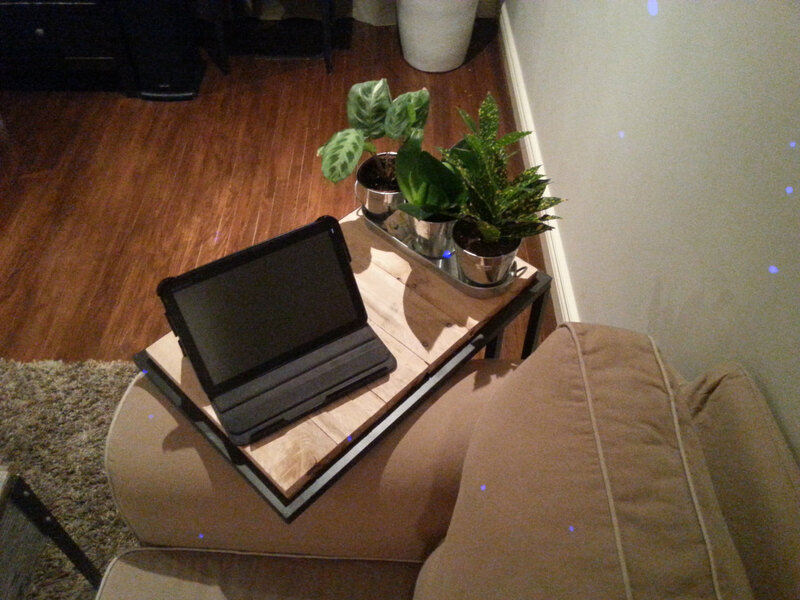 The table can be placed at the side of sofa in your living room with its stand out design and cuts. It has been trimmed down from the artistic blend of wood and steel. 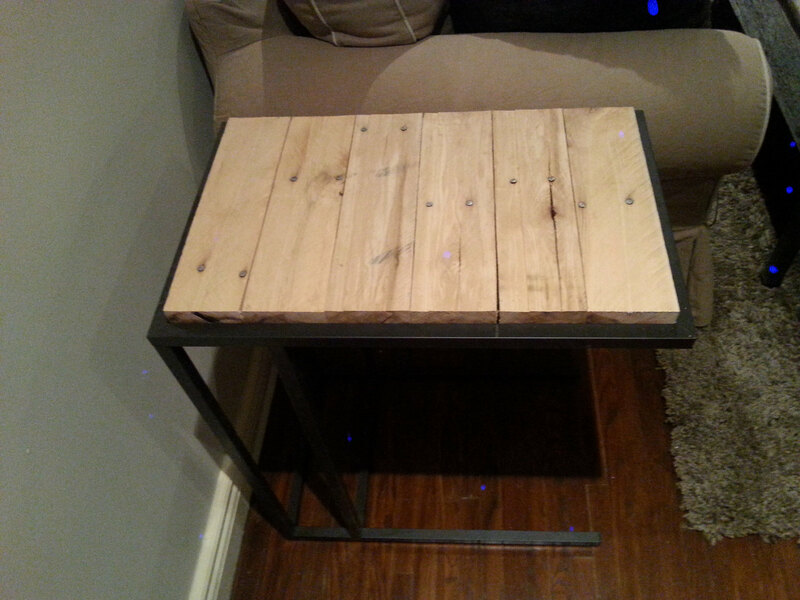 Pallet wood has been reused for the composition of spacious table top to carry your laptop and other items. The table top has been suspended on the E shaped steel frame for modern feel in your living area embellishment. You can slide the table near you to work with tranquility to use laptop for work. When not in use u can put some ornament pieces for a decorous and modish display or you can just use as a normal side table.